she returned to my daily life thanks to Facebook. Recently, she started a private group on Facebook, which she has dubbed a "Gratitude Journal." Everyone in the group can post what they are thankful or grateful for, whenever the impulse strikes them. I have enjoyed being a part of this group--it is amazing to see my Facebook feed full of joy and gratitude everyday. So, today, I decided to share my gratitude on my blog. 2013 has been an pivotal year for me. I took the plunge into indie publishing this year. It took me a long, long time to come to this decision, and now I am overjoyed to have taken the plunge! Indie publishing is a fascinating process, and I love every single thing about it! The first time a complete stranger signed up for my newsletter, I was giddy. And, when there were three sales of my book within just a few hours of my book going up for sale, I was exhilarated! When people listened to me speak at the When Words Collide conference and then when people actually bought copies of my book and wanted me to sign them(!!! ), I was once again overjoyed and humbled. 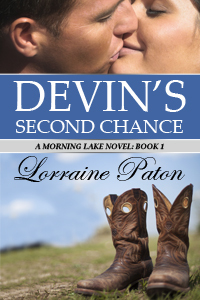 Then, there was the first favorable review of Devin's Second Chance... and then the next and the next. I love that happy dances and high fives with anyone who is close have become part of my publishing experience! People have emailed me privately to tell me how much they've enjoyed my book, and each time I am absolutely humbled. To everyone who took a chance on this unknown romance writer, I thank you!!! I wish each of you a wonderful giddy joy too!